The Dark Ranger: Ryan Is "In" & Lauri Is "Out"
Readers of Dark....this just in. NEW YORK -- The New York Rangers are bringing back forward Ryan Callahan, coming to terms with the restricted free agent on a multiyear deal.The deal was announced Monday by the Rangers, who were scheduled to have an arbitration hearing with Callahan on July 23.The 24-year-old right winger set career highs with 22 goals, 40 points and 81 games played last season.Callahan ranked second on the team with a career-high 237 shots, first with a plus-7 rating and fourth in goals. 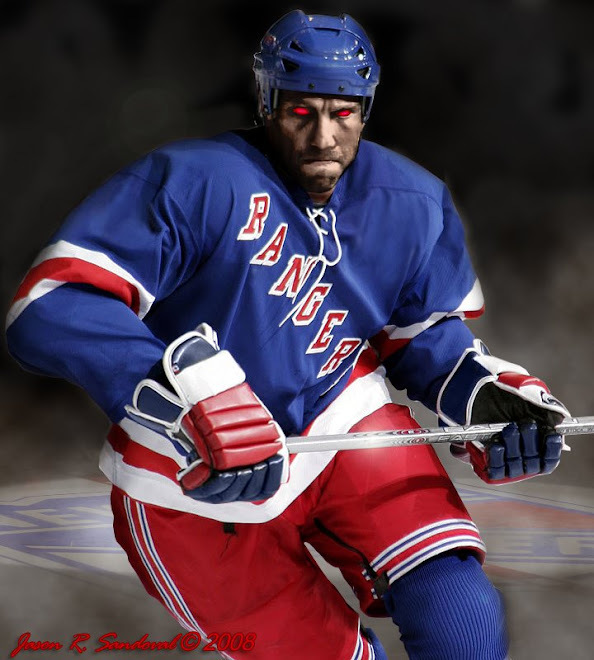 He was tops on the Rangers and fourth in the NHL with 256 hits.He reached the 20-goal mark for the first time in his three seasons and tied for the team lead with two goals in New York's first-round playoff loss to the Washington Capitals. 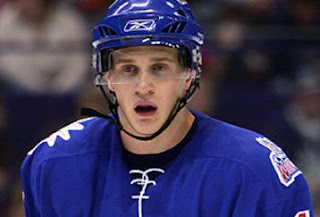 In 147 NHL regular-season games, Callahan has 34 goals and 25 assists.The Rochester, N.Y., native was one of 34 players invited to next month's U.S. Olympic hockey orientation camp.The Rangers also announced Monday that they agreed to terms with 23-year-old goalie Chad Johnson, acquired from Pittsburgh at last month's NHL draft. And Lauri Korpikoski is out. The New York Rangers have traded Finnish left winger Lauri Korpikoski to the Phoenix Coyotes for Russian right winger Enver Lisin.The deal was announced Monday in Glendale, where the Coyotes are being funded by the NHL while a U.S. Bankruptcy Court determines who will own the team.Korpikoski, 22, played in 68 games as a rookie for the Rangers last season and had six goals and eight assists. He added two assists in New York's seven-game loss to Washington in the first round of the playoffs.Korpikoski was New York's first-round draft pick in 2004, the 19th choice overall. Lisin, 23, was a third-round pick of the Coyotes in 2004, recorded 13-8-21 and 24 PIM in 48 games with the Coyotes last season. In 78 career NHL games, all with the Coyotes, Lisin has registered 18-10-28 and 46 PIM. The Rangers also announced Monday that they agreed to terms with 23-year-old goalie Chad Johnson, acquired from Pittsburgh at last month's NHL draft. This is a short-term sad day for those of us familiar with Korpokoski's potential as a Ranger -- one of the hardest working guys with this new Torts system -- I appreciate the relationship NYR management has with a losing, bankrupt, unsellable franchise and I am not familiar with Lisin's level of play, but I cannot imagine that Korps would have cost the Rangers a lot to keep him on the squad this season. I hope this Coyote bozo has the chops --- I like his PIM stats from last year. Obviously a little muscle has been added to the team. And who said there wasn't much happening in Ranger-land? Good-night. As far as I heard they sighed Ryan Callahan for $4.6M for 2 years. (2.2 first and 2.4 second year.